I don't if it's just me or most of the people out there does practice this beauty habit, i was once told that we must constantly change our skincare regime from time to time, maybe half to one year once? So yeah, i have been practicing this since many years ago. 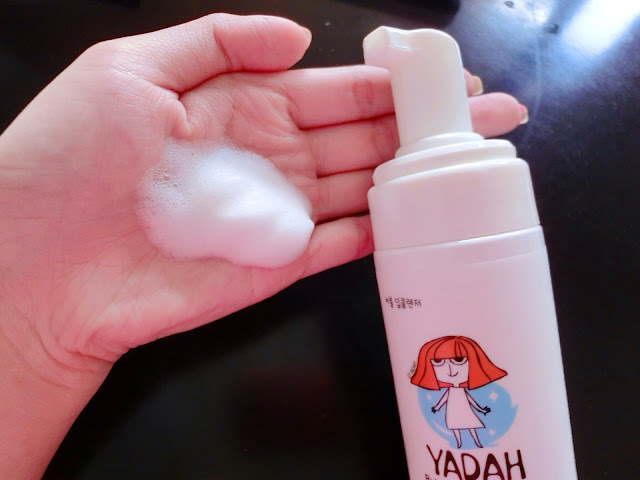 This time i decided to try on this new brand korean - YADAH. I could literally feel the cuteness from the name itself, not to mention the cute artwork on the product. It all started off when i was doing a last minute shopping before my trip, i wanted to look for something apart from my usual skincare products, because i know the weather in Japan might be different from Malaysia, it will affect my skin condition. 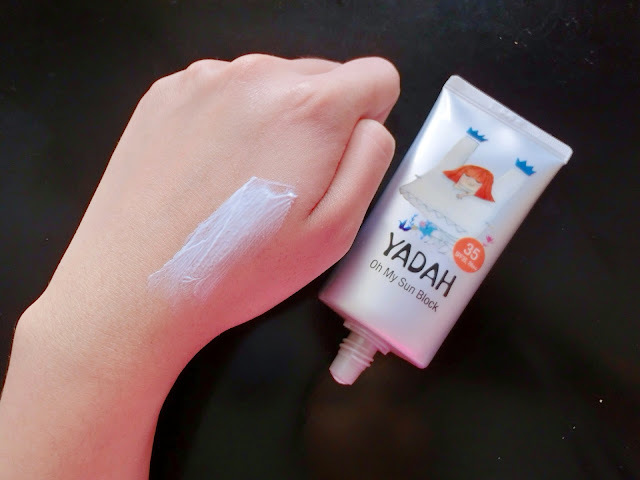 Thanks to the helpful sales lady from Sasa, she introduced me this new brand from Korea, YADAH, one of the few products in the market that does not contain harmful chemicals and is formulated with natural ingredients. 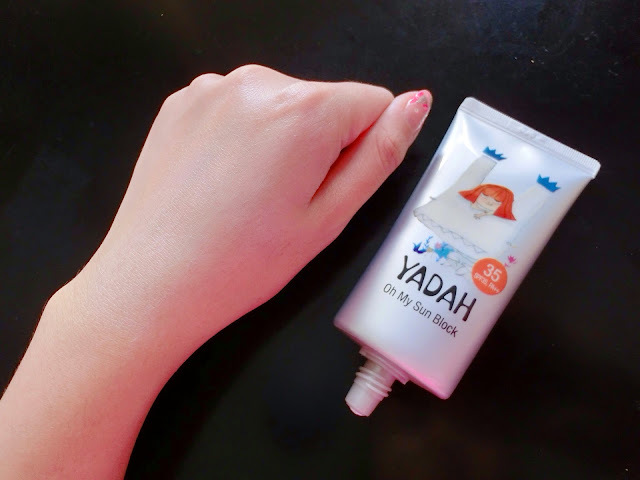 I got myself two best selling products from YADAH, Bubble Deep Cleanser & Oh My Sun Block both priced at RM49, pretty affordable for cleanser and sunblock. 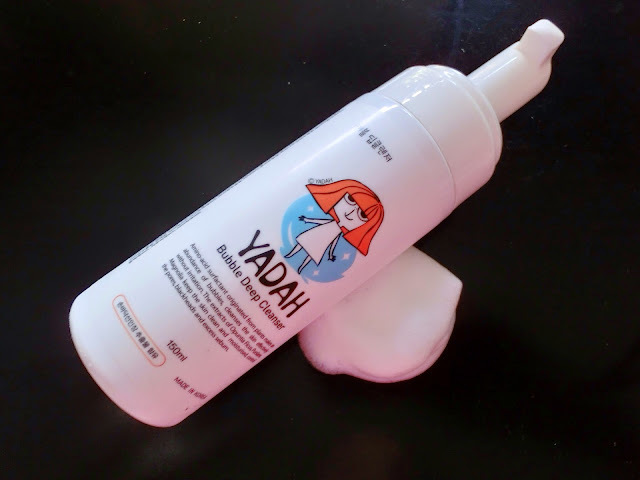 But one thing that is YADAH products are available at selected Sasa outlets. Try your luck babes! 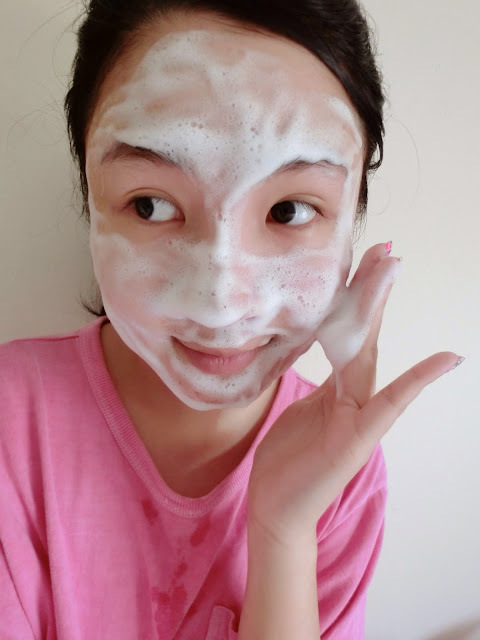 Bubble Deep Cleanser is a great helper for makeup remover besides normal cleanser. My skin feels very clean after cleansing. I was told that the 99.9% natural ingredients and free from chemical substances. It contains amino acid surfactants and vitamins. 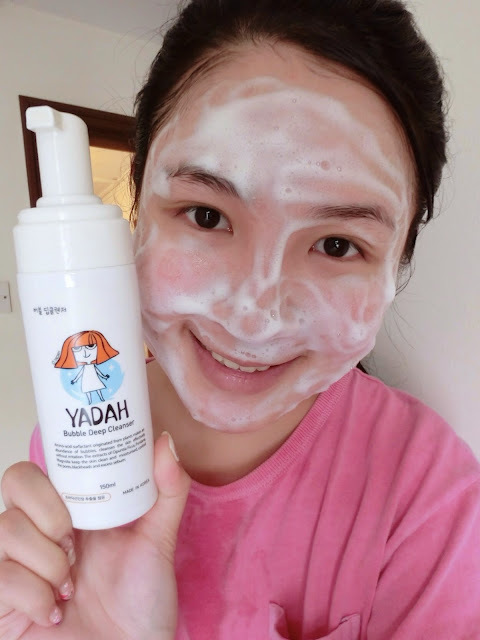 It also emphasize on its refreshing natural scent extracted from botanical ingredients and its ability to cleanse deep into pore to remove impurities and makeup without stripping off the skin’s moisture. 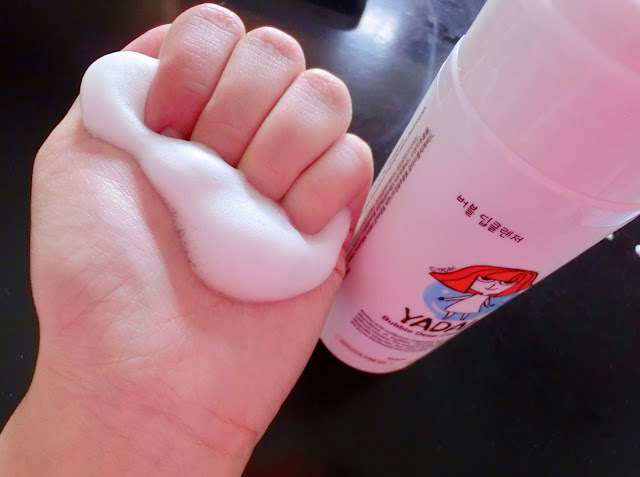 Rinse with water after 30 seconds, my skin instantly became soft and refreshed yet moisturized at the same time. When it comes to sun cream, it is all about the texture. I personally don't want to add on any 'burden' when i was away on my trip, so i bought the Oh My Sun Block is suitable for everyday use. It is 100% colorless and transparent (zero color pigments) which means no makeup remover is needed, highly moisturizing, fast-absorbing, non-tinted, non-sticky and non-greasy. 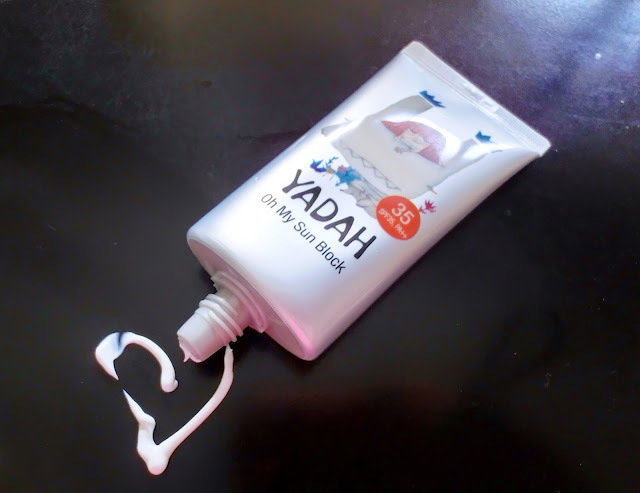 Oh My Sun Block has an exceptionally lightweight texture in matte finish, it feels like you’re wearing nothing at all. 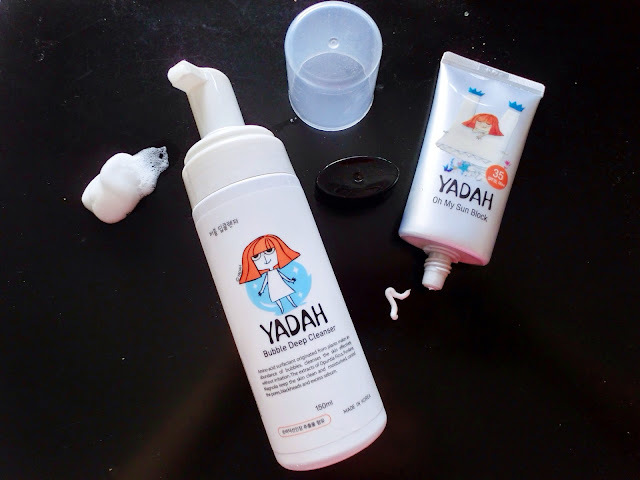 Safe to use on skin even for children. It appeared to be slightly white but contains coverage (yellow/pink undertone) has at least 20% color pigments. i don't know if you're aware of this but if you google your blog, a notice reads "this site may be hacked." which suggests that your site may have been hacked..
just thought i'd let you know (: cheers!